Grace, beauty and personality plus! 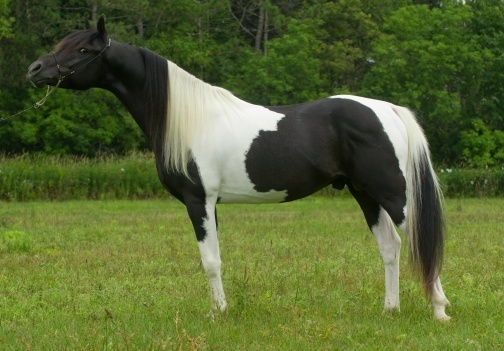 If you're looking for Arabian style with the elusive black pinto color, Ali is your boy! 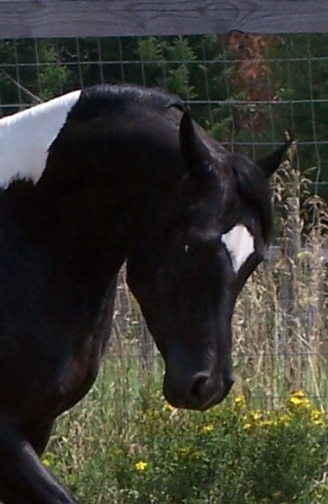 Ali is our 2003 Pintabian stallion, with 50% black and white tobiano markings. He has great conformation, plenty of style, and a willing attitude. 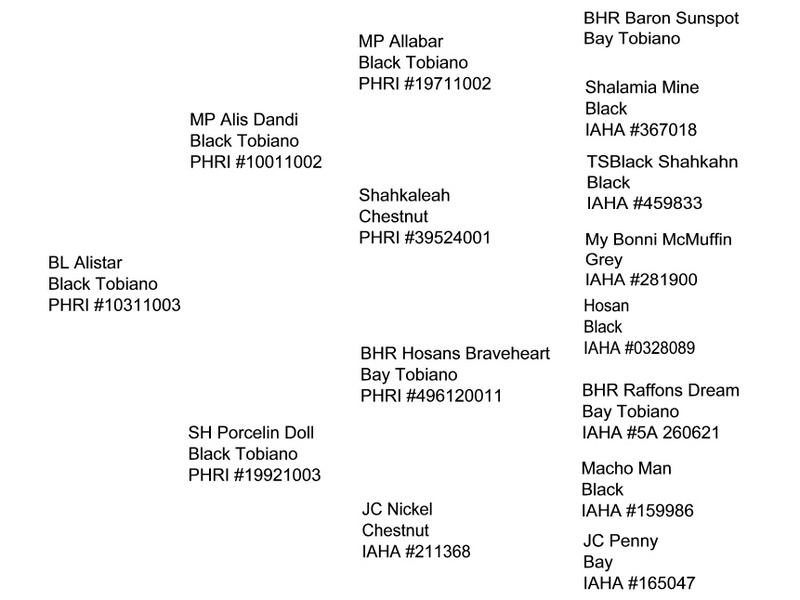 Bloodlines include *Bask, Bey Shah, Niga, Ferzon, *Raffles, *Fadl, *Mirage, Raffon, and Preacher Man (Pedigree). 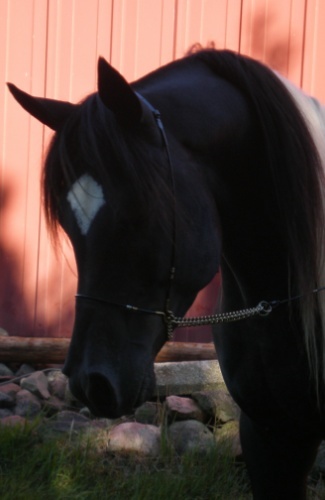 He has received many first places and Reserve Championships his first two show seasons and was chosen for Liberty in the 2007 Midwest Horse Fair in Madison, WI (see videos). Trained and shown by Wendy Konichek of Jericho Creek Farms.